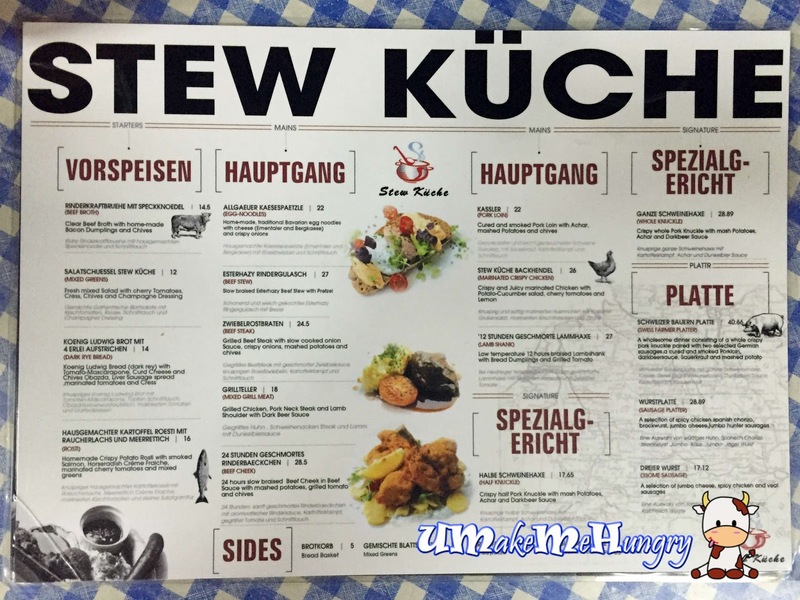 Stew Küche also known as Stew Kitchen when translated from German is located in one of the hipster coffee shop in Singapore. 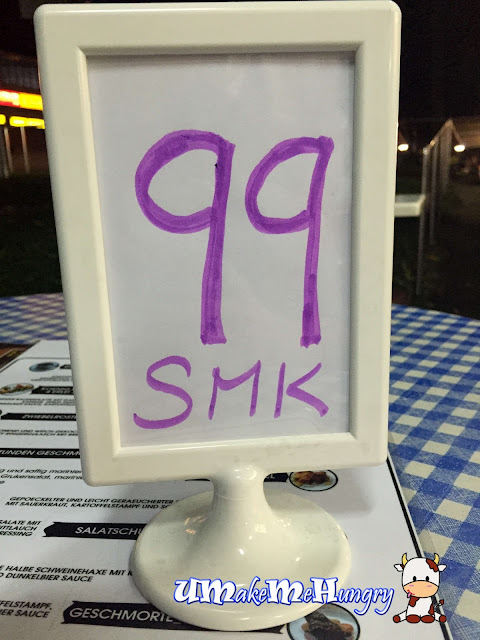 If you feel that enjoying your European meals from air-conditioned Restaurants or Malls is too mainstream, try visiting here for a different experience, also skipping the additional service charges. 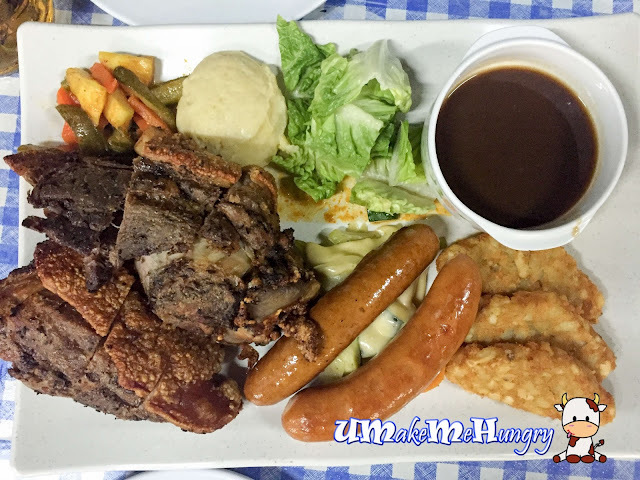 The Swiss Farmer Platter is good for sharing for about 2 - 4 pax and consists of the Bavarian / Germans Staples like whole crispy pork knuckled, 2 selected German sausages, Achar, mashed potatoes, harsh browns and darkbeer sauce for pairing. From the look at it, the Asian Cuisine had somehow influenced the "supposed-to-be" German platter as the sauerkraut that I'm looking forward to has been exchanged for our Asian Achar. Portion are large and definitely economical as compared to the usual ones. 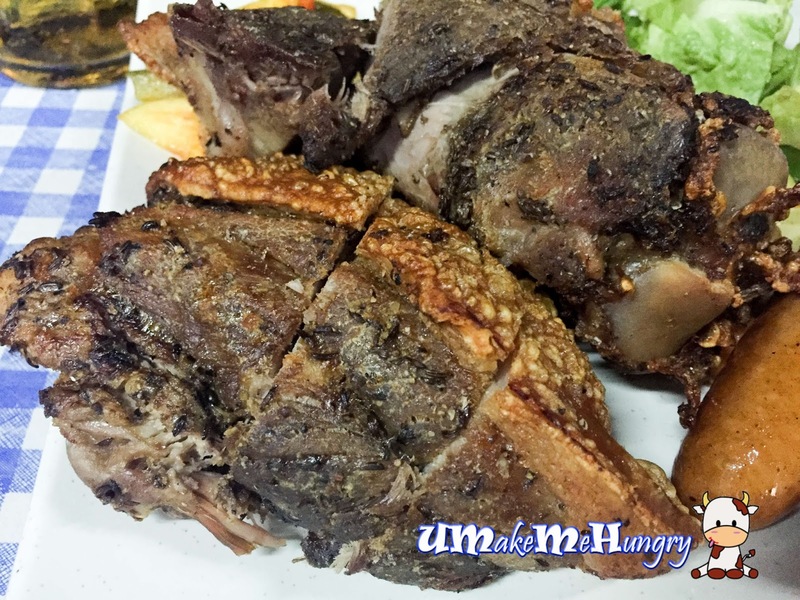 The scene-stealer was perhaps none other than that salivating big pork knuckle that were cut into pieces. Meat was moist and fare better than the chain German Bistro that I had visited. Meat was marvelously tender and best to go with the given sauce. 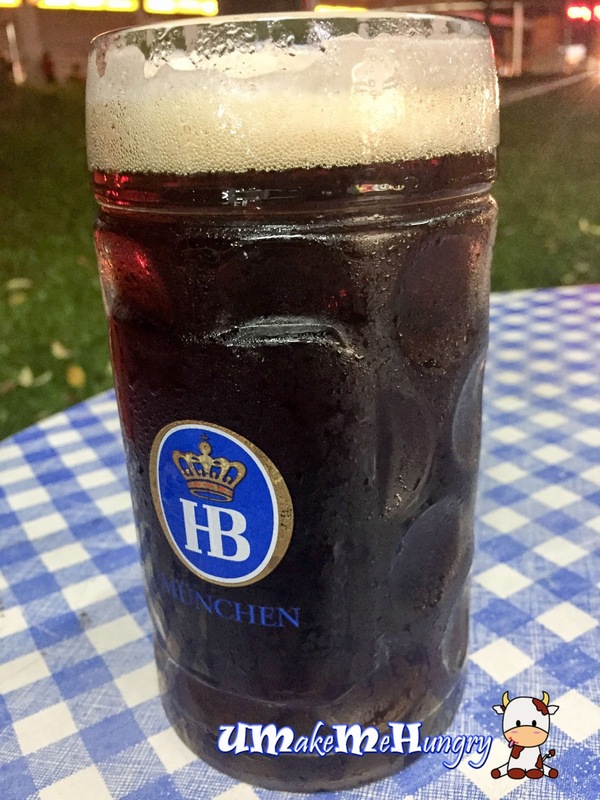 The Bavarian Pork Sausage was perfectly served in its plump texture and lend a good savoury bite with its juice bursting as we sank our teeth into them. 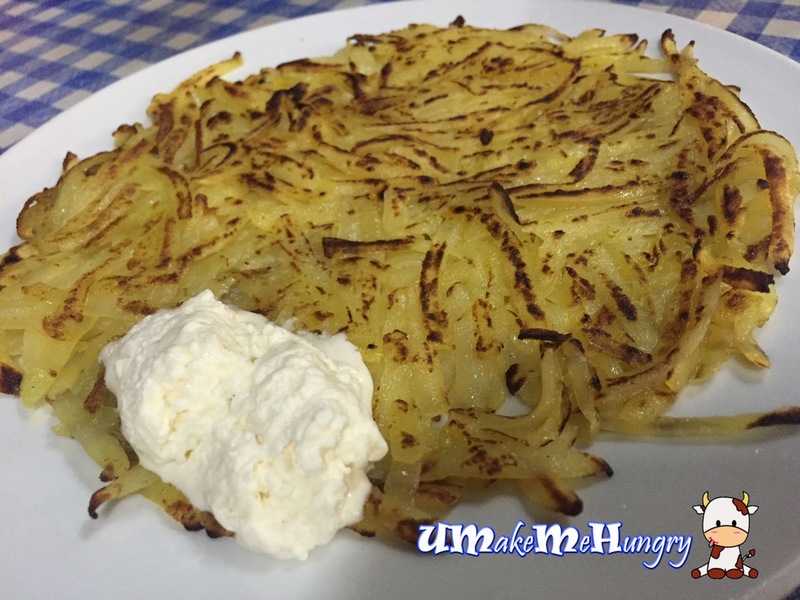 Though those shredded potatoes that make up the Rosti may not be as fine as what we had from Marche, it was more fragrant and not very oily. Together with the platter, we topped up this at $5.50 only. 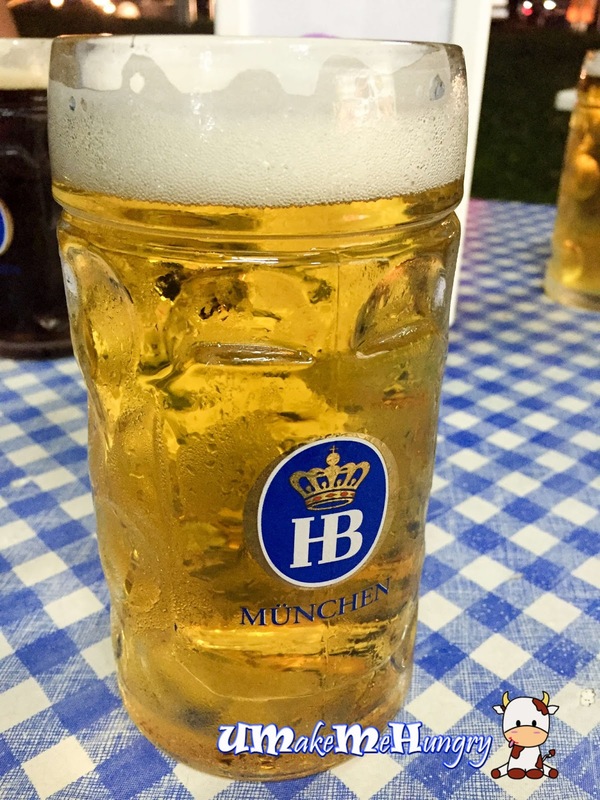 Having good memories from Hofbräuhaus München in Germany, I had the Hofbräu original. This is brewed by the brewery in Germany and the acquired taste was refreshingly light to go with some good german food! While for my guy friend, he prefers something stronger in flavour and went for the darker beer. Stew Küche may not replace the restaurant environment and have limited seating but you can still call in for reservation. Overall, with menu being extensive, I find that its a good alternative if you are looking for more German Food options in Singapore.